Changing Perceptions Theater (CPT) champions Common Core standards and utilizes its own Culturally Responsive Curriculum to promote Literacy Skills and concepts, inspire Social and Emotional Learning, and develop Leadership Competencies required for College and Career Readiness. Over the past seven years Changing Perceptions has done amazing work for youth in schools and community organizations throughout NYC and Newark, NJ. Focusing on what we call "the confidence arts," our dynamic CPT Artistic Mentors empower young people's perceptions of themselves through Theater, Public Speaking, Video Arts and Essay Writing. Students always present an End Product to their Families, peers and school environment at the end of CPT residencies. For more information on how to partner with CPT, simply submit the form below and we will get back to you within the next business day. 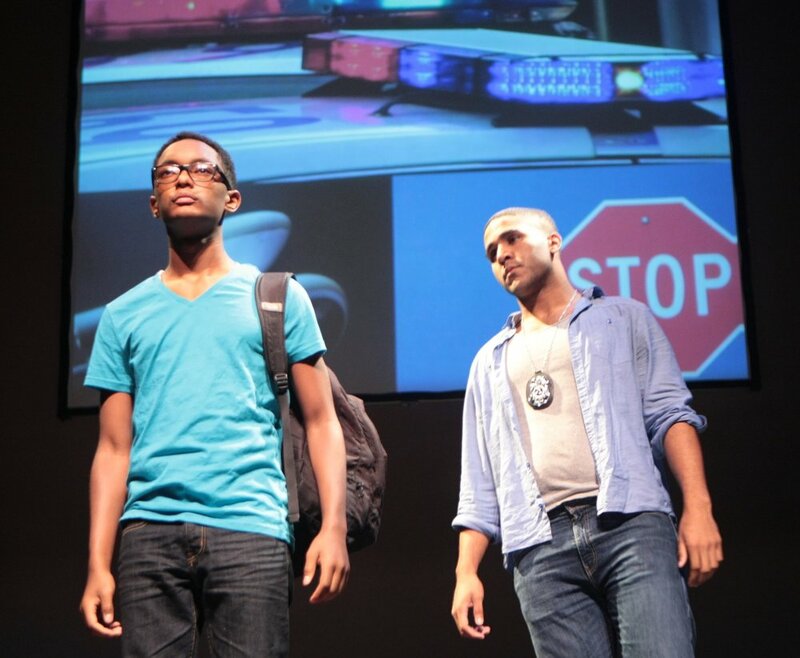 Invictus Theater is Changing Perceptions Theater’s (CPT) signature program. Improvisation, role playing and playwriting methods that champion Common Core Standards are used to instruct participants to analyze the famed poem Invictus through personal experience, current events and cultural history. Under the supervision of CPT Artistic Mentors, who have been trained to instruct the CPT Invictus Theater Curriculum, participants create and learn to perform an original 15-Minute Play based on their analysis of and connection to themes in Invictus. Workshops may be offered during the school day as an arts elective, after-school or on weekends. Students in the Invictus Theater program between September 2018- January 2019 will perform at the premiere annual Invictus Theater Event in January 2019. In January 2019 students from 6 NYC schools will perform their original plays based on the Invictus at The Premiere Annual Invictus Theater Event. TO LEARN more click here and fill out form. CPT Artistic Mentors are all experienced instructors, trained mentors, men and women of color, and professional, practicing theater artists. Over the course of a school semester, trimester or school year, CPT artistic mentors work one-on-one with a group of students to present a professional level theatrical production for their families, peers, and teachers. Whether an original one-act play from CPT's repertoire or an established full length musical, students are exposed to playwriting, performance, stage combat, stage design and marketing skills needed to produce a show. Producing a show with a group of students provides lifelong memories for students and their families and inspires a wealth of Social and Emotional Learning, Leadership Development and College and Career Readiness. Producing a show with CPT's Artistic Mentors is a great experience for elementary, middle school and high school students. Ask us how CPT can customize our Produce A Show program for your young people or school environment. Find Out how CPT can customize an In-School Assembly for your young people or school environment.